The Iranian central bank's top foreign exchange official has been arrested, the judiciary said Sunday, as tensions rise ahead of the imminent return of US sanctions. Ahmad Araghchi, who was a vice-governor at the bank in charge of forex, was arrested along with several other unnamed individuals including a government clerk and four currency brokers, said judiciary spokesman Gholam-Hossein Mohseni Ejeie, according to state broadcaster IRIB. The arrests come as Iranians brace for the reimposition of US sanctions on Tuesday, following Washington's withdrawal from the 2015 nuclear deal. Meanwhile news of protests continues to filter in from around the country, driven by concerns over water shortages, the economy and wider anger at the political system. Journalists reported a heavy build-up of riot police on Sunday night, including at least one armoured personnel carrier, in the town of Karaj, just west of Tehran, that has seen days of unrest. There have been days of sporadic protests, including in key cities such as Isfahan, Mashhad and Shiraz -- but severe reporting restrictions have made it impossible to verify social media footage and official accounts. 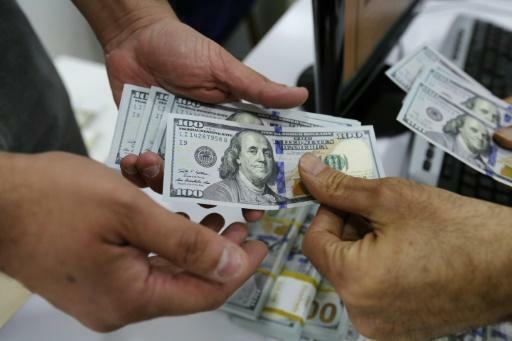 On Sunday, his cabinet announced it was easing foreign exchange rules, undoing a disastrous attempt to fix the value of the rial in April which had led to widespread corruption and speculation. The April decision -- combined with fears over US sanctions -- fuelled a run on the currency that saw it lose more than half its value. On Saturday, Grand Ayatollah Hossein Nouri-Hamedani, one of the country's top religious figures, said "economic corruptors" must face justice. "People are upset when they hear that someone has embezzled billions while other people are living in tough conditions," he said in a speech, according to the conservative Tasnim news agency. Araghchi, a nephew of deputy foreign minister Abbas Araghchi, was reportedly fired by the new governor of the central bank on Saturday, apparently over his handling of the currency crisis. Hemati is due to unveil more details of the new foreign exchange policy on Monday. The unofficial rate for the rial fell to a record 119,000 last week, before rallying in response to the government's efforts to address the crisis, and stood at 98,500 on Sunday night.